The O’Neill School of Public and Environmental Affairs offers programs in two locations—the IU Bloomington campus and at IUPUI in Indianapolis. In addition, we have an affiliated program with SPEA at IU Northwest in Gary, Indiana. 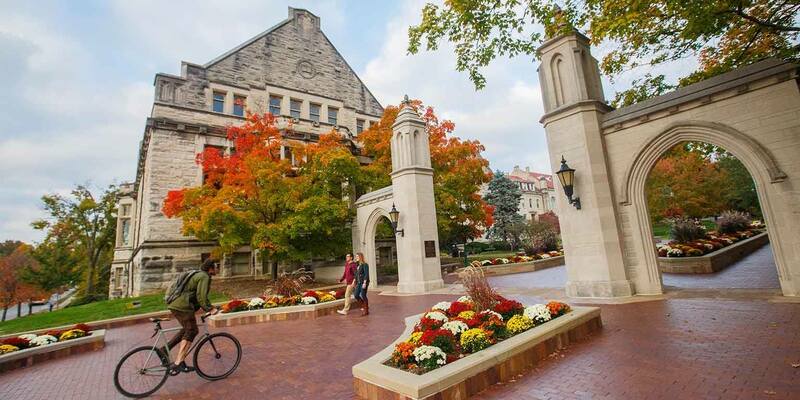 At Bloomington, you’ll be on IU’s main campus—a research university offering the quintessential Big 10 college experience and home to 40,000 students representing 50 states and more than 125 countries. At the O’Neill School in Bloomington, undergraduates can pursue a variety of majors in Public Affairs, Healthcare Management and Policy, Arts Management, or Environmental Science. Graduate students can earn a Master of Public Affairs (MPA), Master of Science in Environmental Science (MSES), MPA/MSES dual degree, Master of Arts in Arts Administration (MAAA), a Master of Science in Healthcare Management (MSHM), an MPA/MAAA dual degree, additional dual degrees, and an Online MPA option—in a school ranked number one in the nation. Doctoral students can pursue a joint PhD in Public Policy, a PhD in Public Affairs, or a PhD in Environmental science. At IUPUI, you’ll be based in our nation’s 13th largest city, Indianapolis—our state’s capital. Take advantage of your proximity to city, state, and federal government centers as well as hundreds of corporations and nonprofit organizations. More than 30,000 students in 21 schools live, work, study, and play on IUPUI’s campus. Undergraduates can pursue a Bachelor of Science in Public Affairs or a Bachelor of Science in Criminal Justice, each with a variety of majors. Graduate students can pursue a Master of Public Affairs (MPA) or a Master of Science in Criminal Justice and Public Safety. We also offer an MPA/Doctor of Jurisprudence and MPA/Master of Arts in Philanthropic Studies joint degrees and an Executive Education Program. O’Neill IUPUI programs rank among the top in the nation. Each of our locations offers its own strengths and competitive advantages. Our faculty members work together across campuses to elevate research, sharing expertise in their areas of strength to the benefit of each location.